Please provide your name, email and location in the form provided on this page and paste / insert the embedding code for your video questions. All questions will be reviewed for relevancy and when approved they will be submitted for consideration and usage during the filming of a Question & Answer Episode. All questions are subject to review and rejection for relevancy. The Q&A for Drunvalo.net accepts embedding and URL / Website address and lining to other websites to view your questions being asked by video. Often the nuance of the question is difficult to capture in text or writing so we welcome your participation utilizing technologies in video. If you would prefer to video record your questions you may do so. However www.Drunvalo.net does not have the ability “Store” the data, but we do allow you to provide a link, embed or provide the URL/Website address for us to go find the video questions. 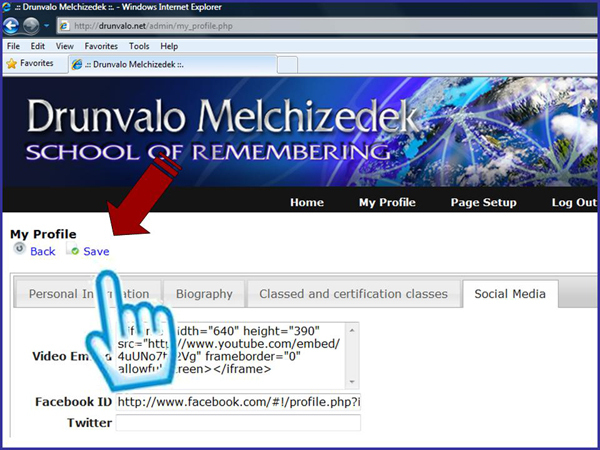 The follow instructions show how to use the Internationally recognized YoutTube.com to first post your video on YouTube and then provide the embedding code on www.Drunvalo.net . 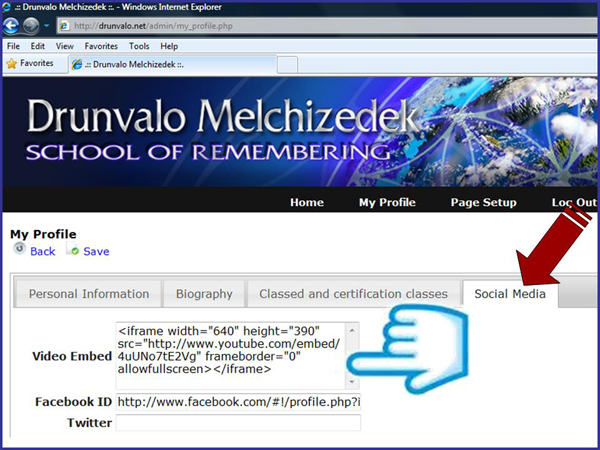 Remember, while the instructions explain YouTube you can link and display information from other social media tools such as Facebook, Twitter and Vimeo etc…. 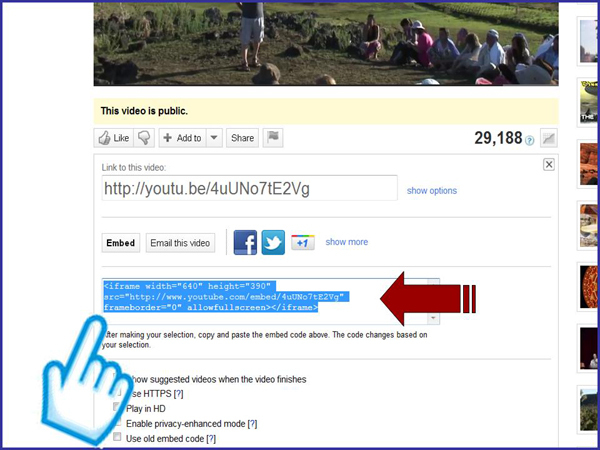 To link/Embed a YouTube video follow these simple step by step instructions: First create your video and upload it to your www.YouTube.com account. 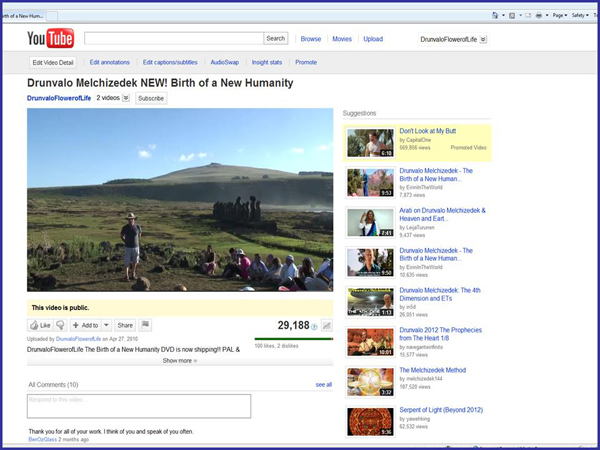 a) Access your desired video on YouTube. 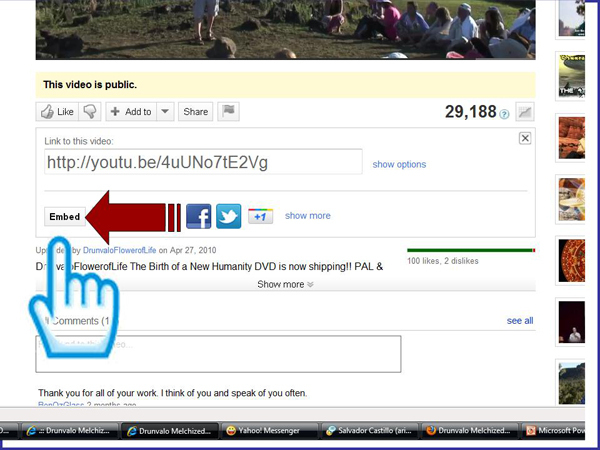 b) Select the "Share" button on the video page. 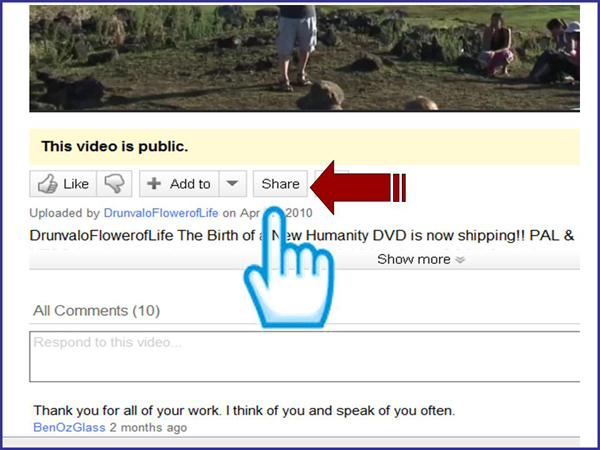 c) Select the "Embedded" link on the Share menu. d) Highlight and copy the Embedding code. e) Paste the Embedding code directly into the provided field “Insert Embedding Code”. f) Send your Question in to www.Drunvalo.net Q&A for review and approval by selecting the “Send” Button. **YouTube videos must be your video or you must have permission to utilize the share and embedding features. YouTube features may be different in many countries and you may need to check with YouTube in your region for application features.